DragonSAR is a novel modular Synthetic Aperture Radar (SAR) satellite solution in collaboration with SSBV that can satisfy the demanding needs of current and future earth observation missions. 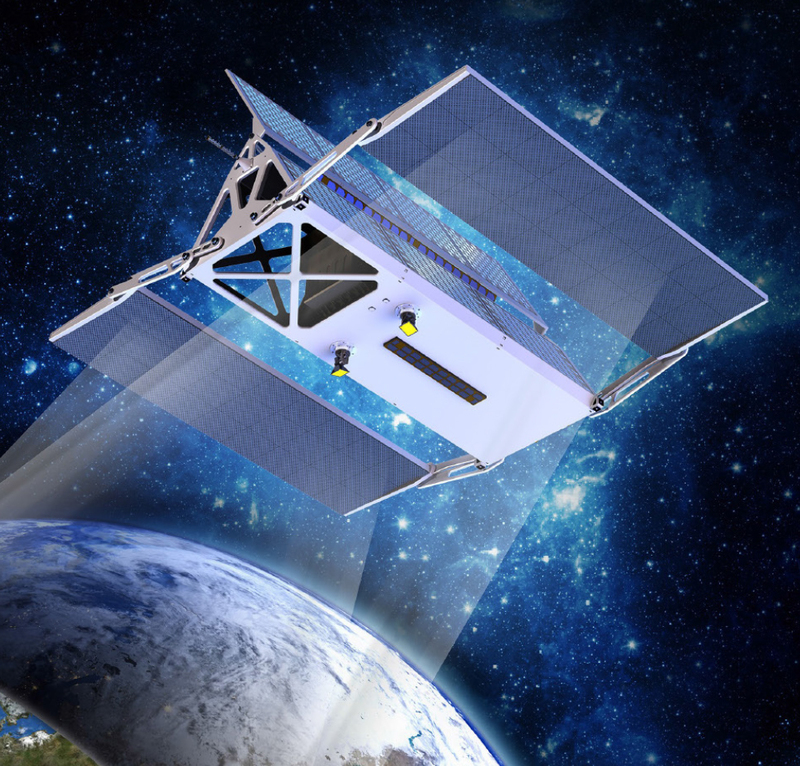 Employing lightweight, small satellite design techniques and components to realise a cost effective system that is designed to operate in isolation or within a constellation. Due to its competitive low cost, the opportunity to establish a constellation becomes a reality, ensuring that revisit times are substantially shortened and flexibility increased. The overall design is driven by a low-cost to launch. The DragonSAR makes use of Frequency Modulated Continuous Wave (FMCW) technology that is different from the more traditional pulsed systems. The major benefit of this technology is the reduction in weight of the satellite due to the reduced requirements placed on the power systems on board of the satellite.